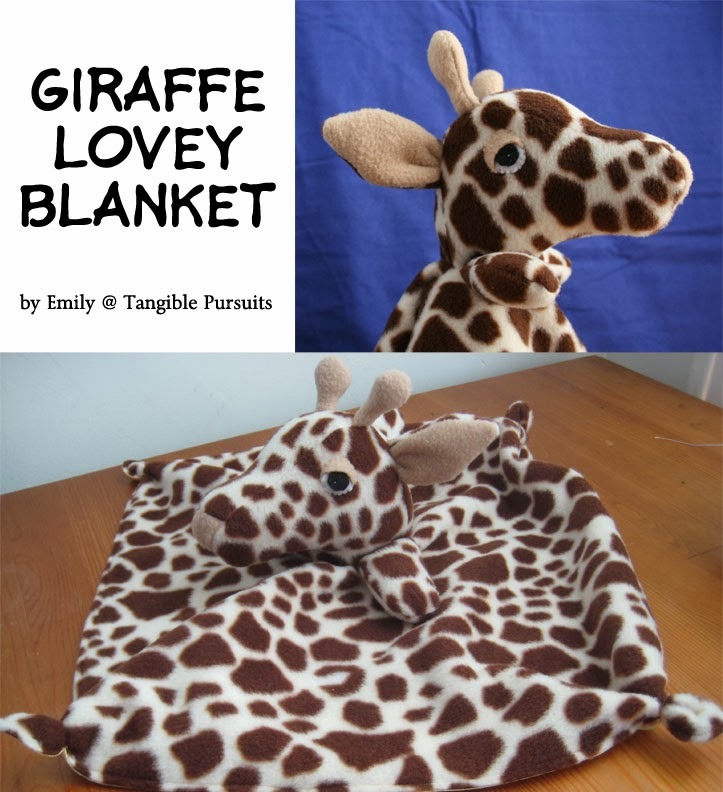 After making the big kid's rhino lovey I had the idea to make a giraffe lovey. I guess because both are animals that you don't often see in lovey form. I have been working on the pattern for a few weeks now and it is finally done! This giraffe lovey blanket is a sweet guy with a slightly sleepy look. Made out of a soft minky or fleece on one side and a smooth satin or cotton on the other side it will offer a nice contrast in textures that a little one will love to stroke and cuddle with. I have decided to offer it for sale on Craftsy. If you are interested you can buy it here. A pattern for the rhino lovey is also in the works (along with a few more free tutorials, other patterns for softies, clothes for the kids, christmas gifts, etc...) So stay tuned! !